O Series Electric Screens 100" Diag. 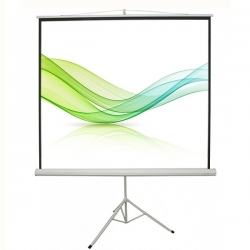 Electric Projector Screens are operated by an electric motor that raises and lowers the screen via remote control or wall switch. Perfect choice for Home Theater, Conference Rooms, Classrooms, Office Equipment, Gaming, Gathering, Live Broadcast, Lectures, Exhibition etc.